aluminium, vehicles, rubber and construction tools. 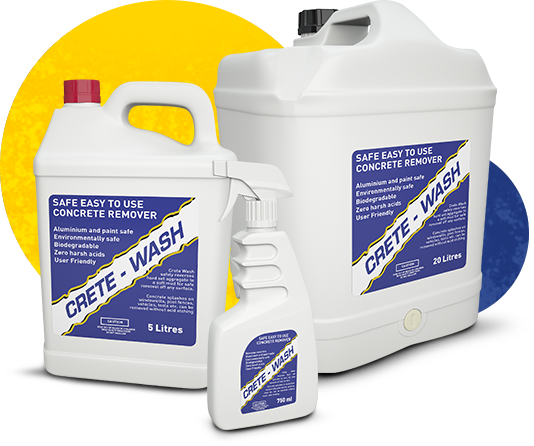 Crete-Wash is a unique and safe formulation designed to remove dry set concrete without damaging the surface underneath. It is perfect to use in removal of accidental splashes of concrete on painted surfaces, aluminium window frames, vehicles or tools with rubber and other sensitive parts other harsh acid systems would attack, stain and damage. It will not acid etch or stain. 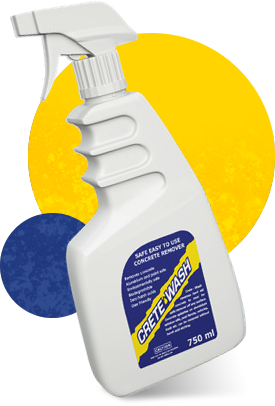 For around the house, it is a fantastic concrete path/driveaway cleaner. It can be diluted with water and used on wetted concrete to clean inground dirt, tire marks and browning of concrete to bring it back to newly laid concrete color without harsh stripping of the surface. This is a biodegradable and safe product to use. Spray Crete-Wash onto dry set of concrete, allow soaking for at least 15 minutes. If it starts to dry reapply or spray a mist of water over the required area to keep the concrete moist. 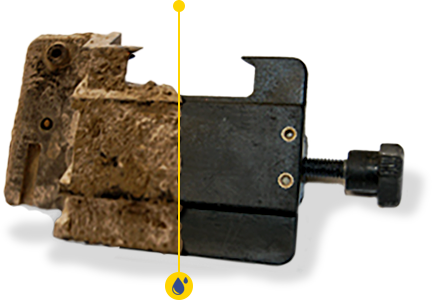 While soaking, agitationof the concrete into a mud-like consistency. For thicker build ups, multiple applications may be needed. High pressure water and a stiff bristle brush will help remove stubborn areas. Rinse thoroughly to remove any residue. Allow to dry and it’s as good as new! The stores mentioned above are not near to your location? Try this and find nearest stores that sells our products!